NSSB - Soldatenbund: The NS Soldatenbund was founded in 1936. It was absorbed into the NSRKB in sometime in the first half of 1937. 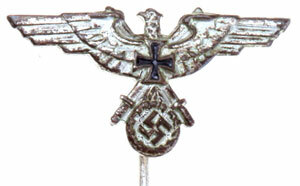 The Soldatenbund eagle faces to your left, the Reichskriegerbund eagle faces right. 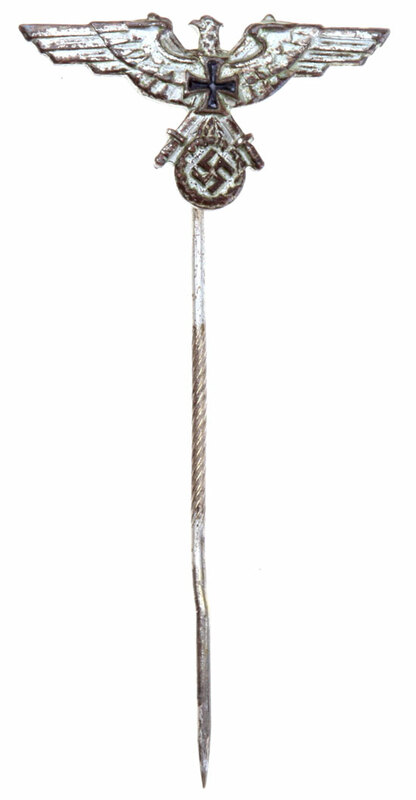 Silver plated tombac, enamel painted cross, 25 x 13 mm eagle, marked "Ges. 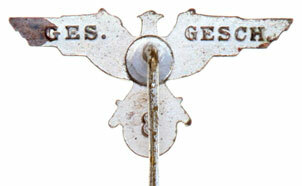 Gesch.," (Gesetzlich Geschützt = Protected by Law), 47 mm knurled pin, light to moderate wear.